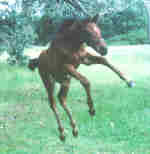 "Perhaps I will not have the strength to arrive where I wish to arrive: but I know perfectly well what I wish to achieve"
A recipient of his national Role of Merit and only a few points off his progeny role of merit Destino offers a unique chance to breed a true performance horse. Destino's full brother is a Barastoc and Royal Show Champion at harness so the breeding is there. Destino's offspring are consistently winning at dressage with scores well into the 60's more often than not. Mira Mar Ra, a 6 year old thoroughbred cross is currently graded Medium dressage after a near faultless season at novice/elementary. His dam, Manuka Kelinda, is the only direct daughter residing in Australia of the famous Spanish stallion Jenson. 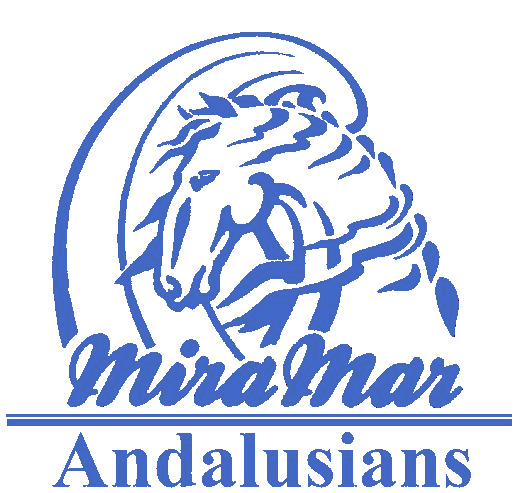 Destino is owned and trained by Laurie and Peter Brighton Mira Mar Andalusians Bells Beach Australia. For more information E-Mail to: destino@miramar.com.au.